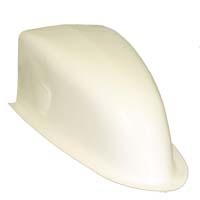 This nose has the same aerodynamic design as the M-4526, but made of fiberglass for the cost conscience racer. Overall length: 28". Height at Back: 11". Width at Back: 11". Width of nose 24" from back: 6 1/4". Width of nose 12" from back: 9 3/4".